One of the things that I love about France is that eggs can be an anytime meal. I have taken a lot of advantage of that this year. For brunch today, I made an omelette with fennel and a hard sheep's milk cheese (Pecorino Toscana would be the Italian version, Brebis is the French). I was so pleased with how it tasted that I decided to share. The salty cheese complemented the sweetness of the sauteed fennel perfectly. The fennel was so sweet, and it almost tasted as though I had put sweet balsamic vinegar in the dish though I hadn't. The fennel came from the local market and the cheese from the Fromagerie Riondet, at the base of the hill in my neighborhood. 4 oz. 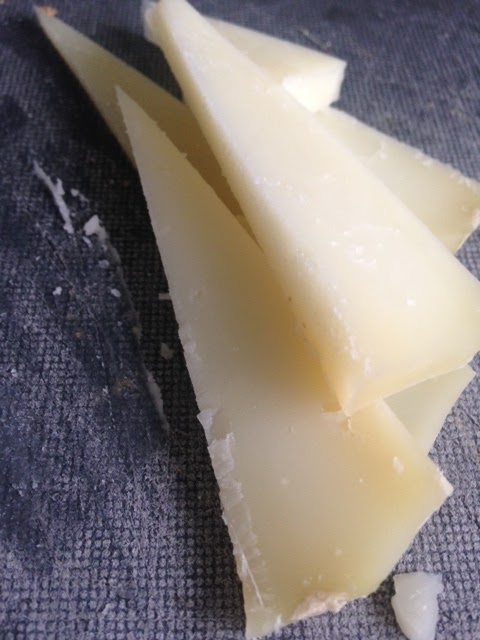 hard sheep's milk cheese, sliced finely or grated. 1. Heat one teaspoon of butter in a small frying pan and sprinkle with truffle salt. Begin to saute the fennel. 2. 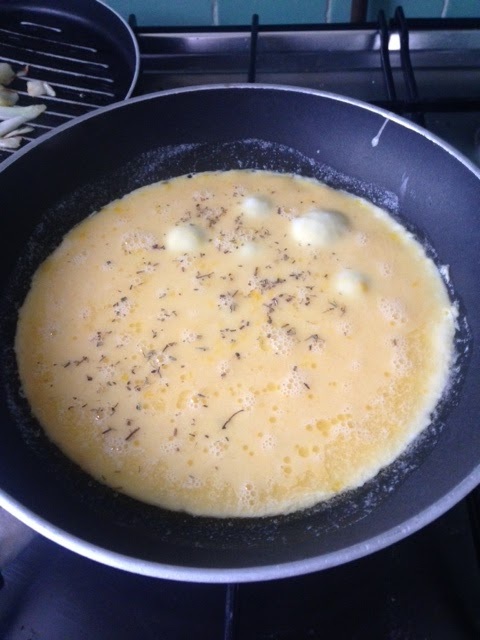 Whisk the eggs with a pinch of truffle salt and add 1/4 cup of tap water. I find this makes the eggs light and fluffy. 3. Heat a large frying pan and melt 1 tsp butter. Draw melted butter around the pan to avoid sticking. 4. Add whisked eggs into frying pan and sprinkle with herbs de provence. 5. 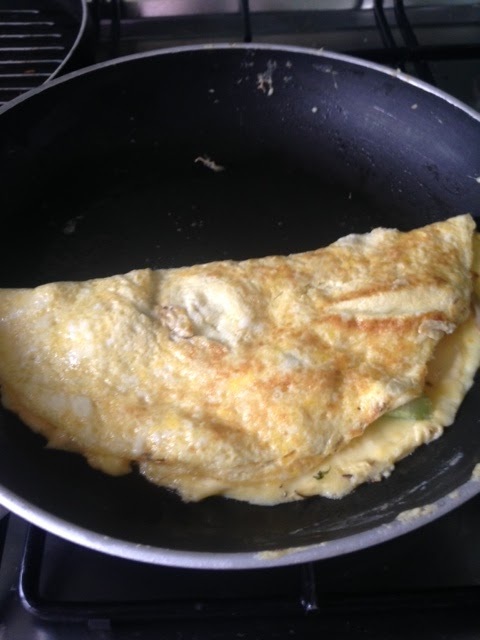 Use a spatula to even out the eggs as they cook and run it often along the edge of the circle of egg. 6. 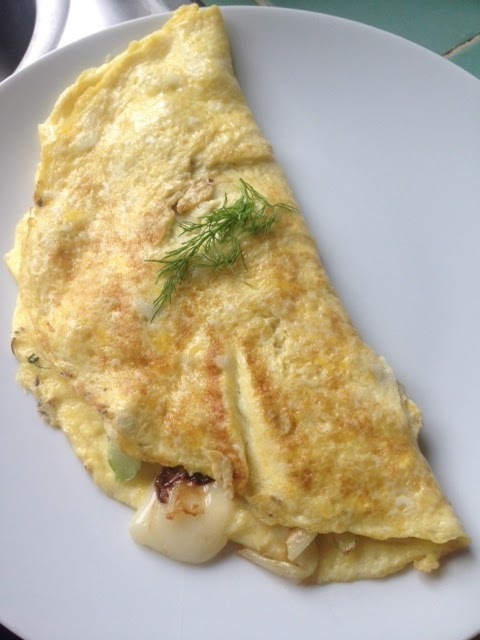 When the eggs have almost fully cooked, add the cheese and lightly browned fennel to one half of the circle. 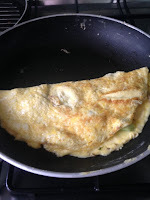 Fold the other egg half over the cheese and fennel and cook on low flame for 1-2 minutes to set and to melt the cheese. 7. 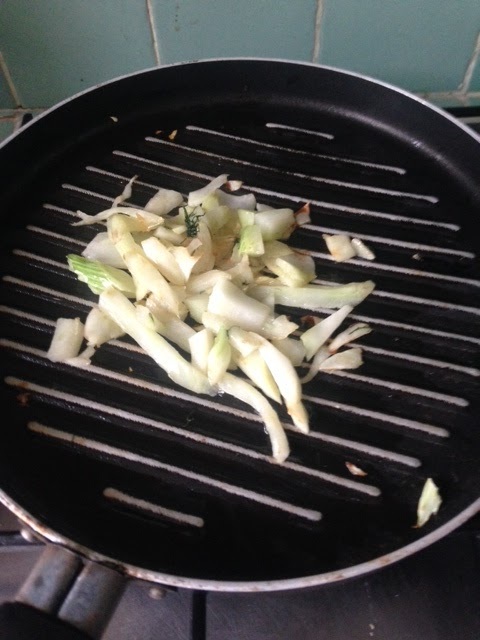 Garnish with fresh fennel fronds.